Quote #3 was easily to winner in the most recent quote vote of Lewis Carroll quotes. 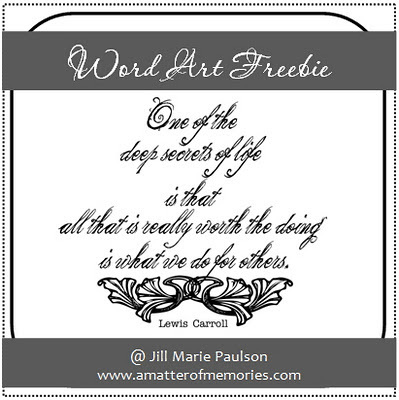 Hope you enjoy this word art freebie! If you'd like to make sure that your voice is heard in the quote vote for my next word art freebie, subscribe by email or your favorite reader using the options at the top of the inner right sidebar.